The follow up to the monster hit, Samsung Corby, is now available in the Philippines. Designed for young consumers, Samsung Corby 2 S3850 builds on the success of its predecessor with enhanced social networking capabilities and a more touch-friendly design. Corby 2 flaunts a capacitive touchscreen, which should make playing games and using apps a great experience. Users can also use the device's integrated Social Hub to stay in touch with friends via email and social networking services like Facebook or Twitter over Wifi. 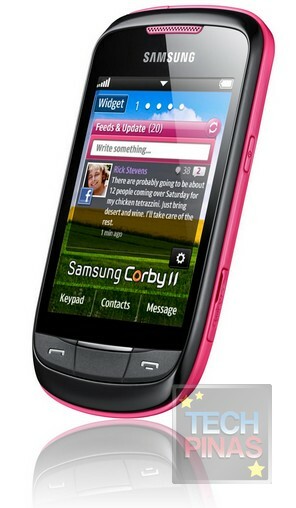 Samsung Corby II features a 3.14-inch screen and a 2 MP camera wrapped in a stylish design. The phone comes in three colors, namely Yellow, White and Pink and is now available at all Samsung retail outlets in the Philippines with a suggested retail price of around Php 5,000. Bakit ngayon ka lang TT Gusto ko nito kesa sa Champ ko ngayon. 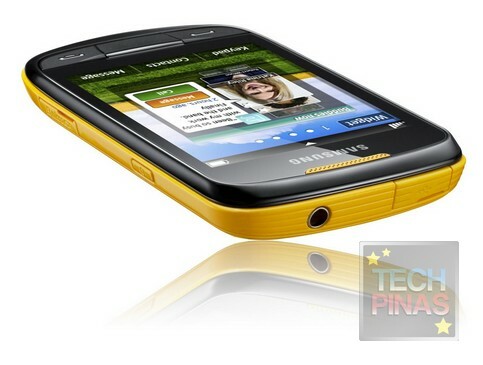 Samsung Corby S3653, which this phone supersedes, has a resistive touchscreen. Samsung Corby Wifi has a capacitive touchscreen. Why is it cheaper than the Samsung Corby Wifi? mag ka iba ba yung price ng corby II sa corby wifi? la b qwerty corby ii???? at anu mas trip nyo buy? corby or corby ii?? Ano pinagkaiba nito sa naunang samsung corby wifi? puro default lahat ng mga themes event yung font samsung font lang ang available if you want a themes you need to download pa..
can read DOC and other... haven't try adobe..Micro SD up to 16G but when in reach 15G slightly hang na xa.. not totally hang.. medyo slow lang tlga..
good phone bakit 5K lang price nito? Php 5,000? mas mura kaysa sa corby wifi? Would you be interested to share a short review of your phone with other TechPinas friends? i want samsung corby kaya i sale my phone 2 months ko palang na gagamit i bebenta ko para maka bili ako nang samsung corby..
anu po maganda samsung corby II o nokia 5530 xpressmusic? anu po maganda yan o ung nokia 5530 xpressmusic? ahm .. hi po .. im planning to buy po kc dis samsung corby II by dis week .. peo im not sure pa po kung san ako bbli .. im thinking po kung ok na sa greenhills .. i like the color pink po ee .. my available po kaya dun ? then 5K lng po yung pnkng amount ko for this fone .. advice me pls .. TNX ! 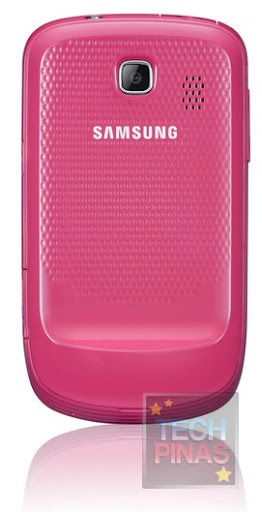 i love samsung corby II kakabili ko lang kahapon.., i buy the color pink.., ang cool nya..,dali lang makakuha ng themes..
pano po makakuha ng themes? That's alright. :) Can you please email me at events.nobounds@gmail.com ? Maraming salamat! paano makakuha ng themes nia?? san na nkakabili ngaun ng samsung corby II ??? maganda ba ang graphics ng samsung corby 2? mas maganda ba kesa sa 1st gen ng samsung corby? hi everyone... i got my corby ii 3 weeks ago. Isa lang masasabi ko kung gusto ninyo nang affordable yet very competitive wifi, touch, music phone GRAB a corby ii now. Pwede bang mag-internet sa Samsung Corby 2 kahit walang WiFi? Anong mas maganda, Samsung Punch o yan? SAN BA NAKAKAKUHA NG THEMES? hi guys...where can i buy LCD of samsung corby II 3850? Ano po ba masmaganda ? Corby 2 or ung Lindy ? mas malakas ba speaker ng Lindy ? reply po pls. hi, i just got my samsung corby 2, am not yet familiar with use of the social hub. if not connected to wifi, regular internet charges will apply?.. when added to the my accounts, appearing on the widget, my fb and yahoo email are open, are internet chrges applied? -- * maganda tLga uNg cOrby II ! baket mas maganda to sa corby wifi? i cant decide kasi kung ano ba dapat bilhin ko between the two. help please. hAist Saang website ba ko mAkakaakuha ng Fonts ? ?